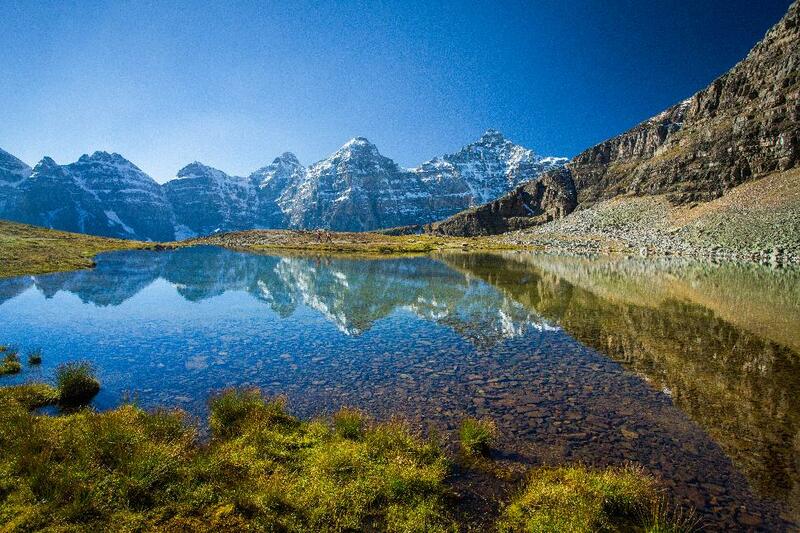 If you haven't stood among the majestic peaks of Alberta's Rocky Mountains, chances are you've heard of their beauty. 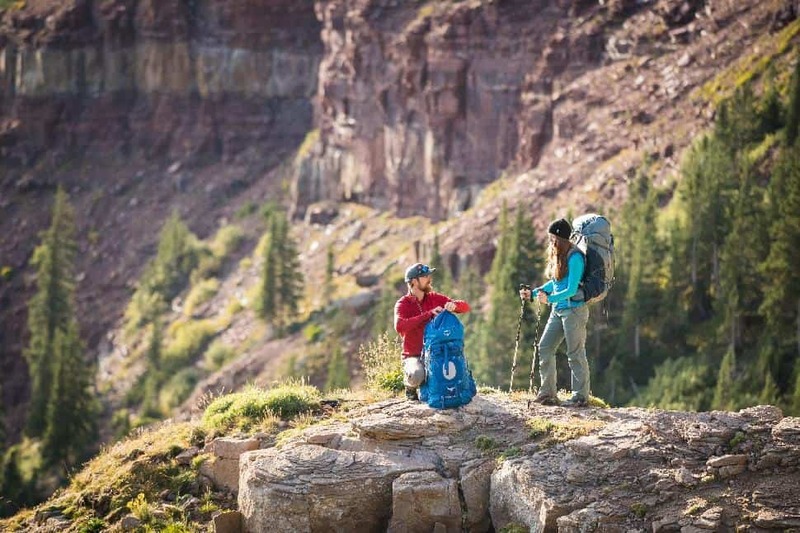 There are countless places to roam and what seems like an endless tangle of trails that thread hikers through wildflower-filled valleys, along alpine ridges, and above glacier-fed lakes. 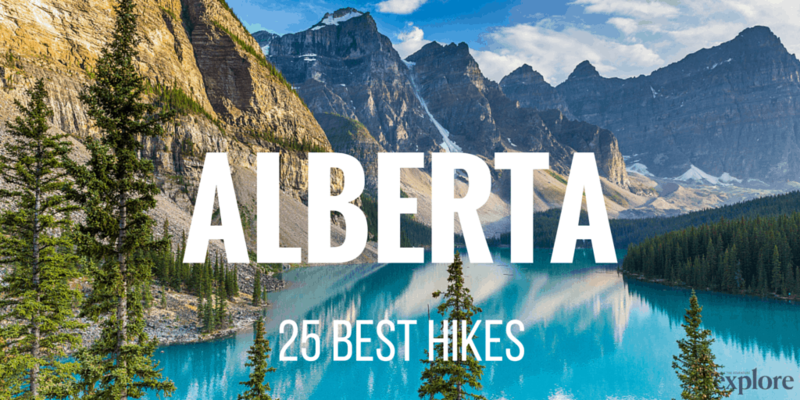 Want to see where these hikes rank against Canada's greatest hikes? Details: This trail doesn’t open until the early summer, when it’s dry enough and ready for hiking. The road to get here, Edith Cavell Road, opens in late June and closes in late September or early October when the snow starts to fall. No dogs are allowed on this trail, as the Cavell Meadows has been identified as critical Woodland caribou habitat. 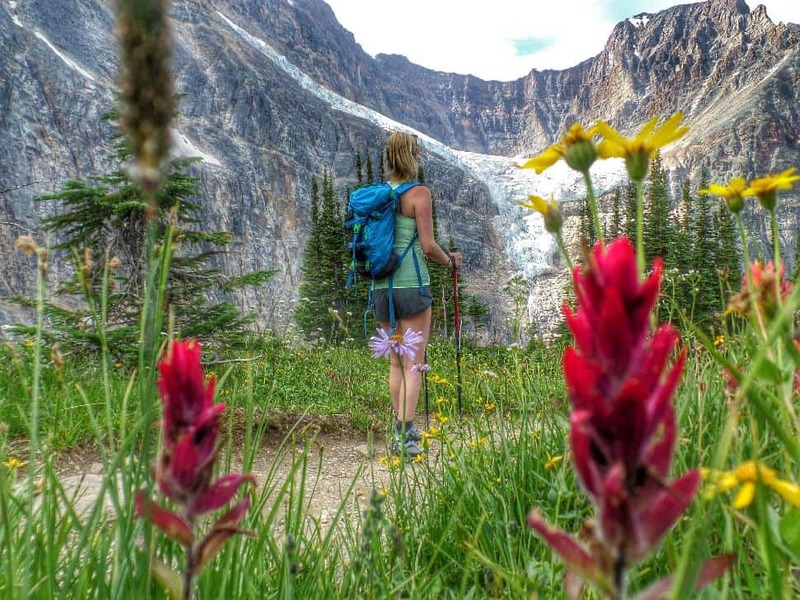 The Cavell Meadows are a dream come true for the flower lover, and this beautiful scenery, mixed with the majestic mountains, makes this trail very popular. How do I get to Cavell Meadows trailhead? Drive south of Jasper on the Icefields Parkway, Highway 93. Turn right onto 93A and follow that for 5.5 kilometres. Make another right on the Edith Cavell Road and drive 15 kilometres to the parking lot at the end of the road. This road is narrow and full of potholes and switchbacks, so drive defensively. Details: Sulphur Skyline is a short (but steep) climb will reward your efforts with stunning views. At about 2.6 kilometres in, the trail will branch – you can go straight to Mystery Lake, or branch to the right and keep climbing to the summit. Once at the top, to the east you can see Fiddle River Valley and Mount Drinnan in the distance. West and south is the Miette Range and Utopia Mountain. To the northwest, you can see the Ashlar Ridge. You’ll end up at the Miette Hot Springs, so take a dip while you’re there! How do I get to Sulphur Skyline trailhead? 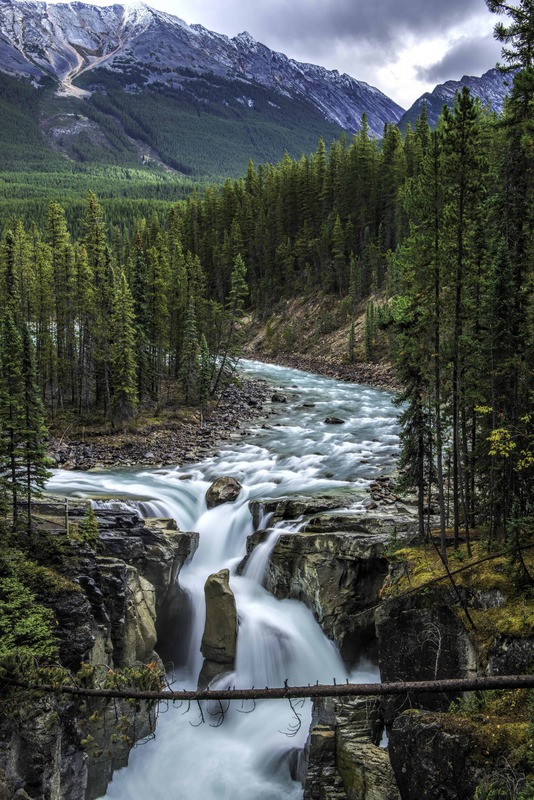 From Edmonton, take the Yellowhead to Jasper National Park and watch for a sign to Miette Hot Springs. Turn south onto the hot springs road, park in the parking lot and follow the signs. 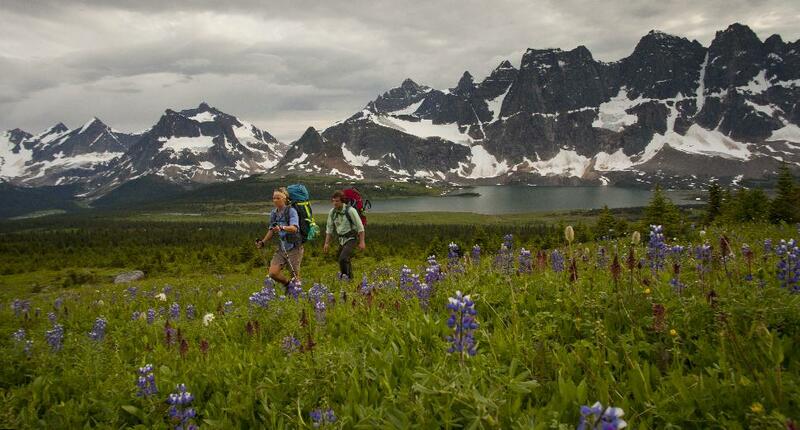 Details: The Tonquin Valley offers scenery you won’t soon forget, and is touted as a “must do” for all serious backpackers. 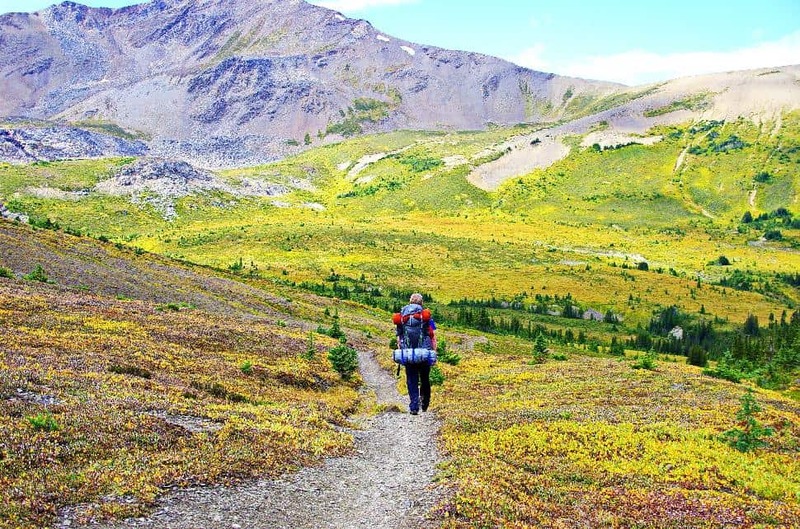 This isn’t an individual trail; the Tonquin Valley is a combination of five trails: Astoria River, Maccarib Pass, Eremite Valley, Moat Lake and the ACC Chrome Lake Trail. The trails are in need of repair, so expect mud when you go, and try to avoid going in the early summer or after a heavy rain. Tonquin Valley is also home to a healthy grizzly population. How do I get to Tonquin Valley trailhead? Getting to Maccarib Pass: Drive south out of Jasper on Highway 93 (Icefields Parkway) and turn right onto Highway 93A. Two kilometres up 93A, after the bridge that goes over Portal Creek, turn right onto the Marmot Basin Ski Hill road. About six-and-a-half kilometres up this road, you’ll find the parking lot on the left. Getting to Astoria River: Drive south of Jasper on Highway 93, and turn right onto Highway 93A. Follow 93A for about 5.5 kilometres and turn right onto the Edith Cavell Road. Drive another 13 kilometres to the parking lot for Tonquin Valley. Time: You can hike this trail as a there-and-back with an overnight stay, or extend your trip for two to six days. Details: The Skyline Trail is well known for its stunning views, with most of the hike being above the treeline. This is one of the premier backpacking trails in the Rockies, and there are several campgrounds to accommodate your overnight stay. No dogs allowed. How do I get to the Skyline Trail trailhead? From Jasper, drive east on Highway 16 for two kilometres and turn right onto Maligne Lake Road. Cross the bridge, veer left and follow the Maligne Lake Road for eight kilometres to the northern parking lot, on the right-hand side of the road. There will be a hiking emblem as the only indication of the trailhead. Details: This is less of a trail and more of a viewing area of the falls below the parking lot. Be sure to move around a lot and get some great photos of the scenery. How do I get to Sunwapta Falls trailhead? Drive south of Jasper on Highway 93, for about 55 kilometres. Turn right at the Sunwapta Falls Resort. The parking lot will be at the end of the access road, about 300 metres. Details: Start in the Smoky River valley and climb up through two forest zones. It's just over 1,000 metres of elevation over the distance to the top. There are some early steep sections, but the trail does even out in spots before you have to climb another incline, so don’t become discouraged. The last leg of the climb to the summit can be tricky for an inexperienced hiker, so take this into consideration and stay safe. How do I get to the Mount Stearn trailhead? 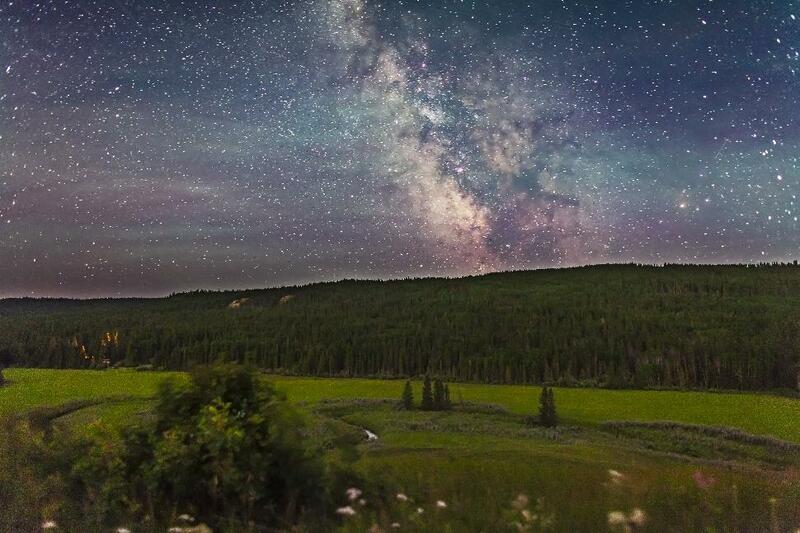 From Grande Cache, drive 5.8 kilometres north on Highway 40. Turn left just past the bridge, onto the Sulphur Gates Road. Drive another 3.5 kilometres and park just past the gravel pit. The sign for the trailhead is across the road. Details: This hike is actually comprised of two trails: Johnston Canyon Lower Falls (1.2 km one way) and Johnston Canyon Upper Falls (2.4 km one way). It is a route made extremely popular by a series of catwalks and a tunnel that immerses hikers deep into the canyon. In winter, the scene is made all the more spectacular when the falls freeze over. The Lower Falls route offers a more gentle gain in elevation but both trails are accessible to most fitness levels. 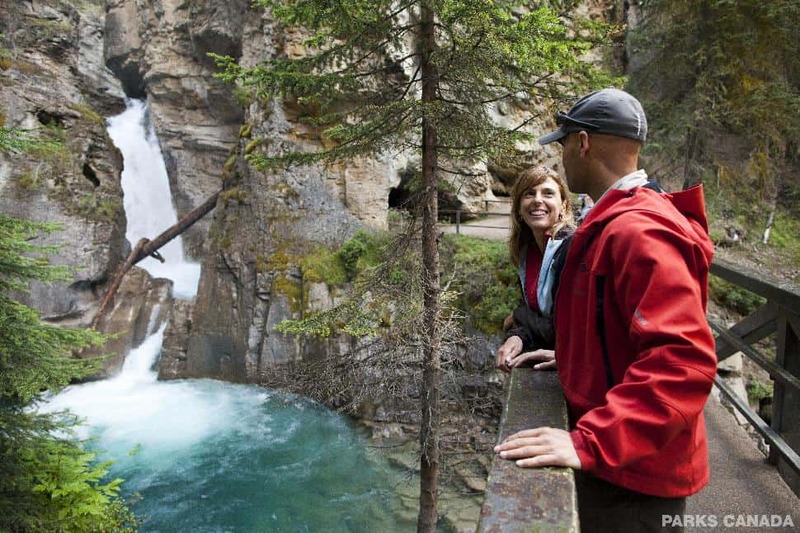 How do I get to Johnston Canyon trailhead? Approach Johnston Canyon Hiking Area via Bow Valley Parkway/AB-1A. Park in the dedicated lot. 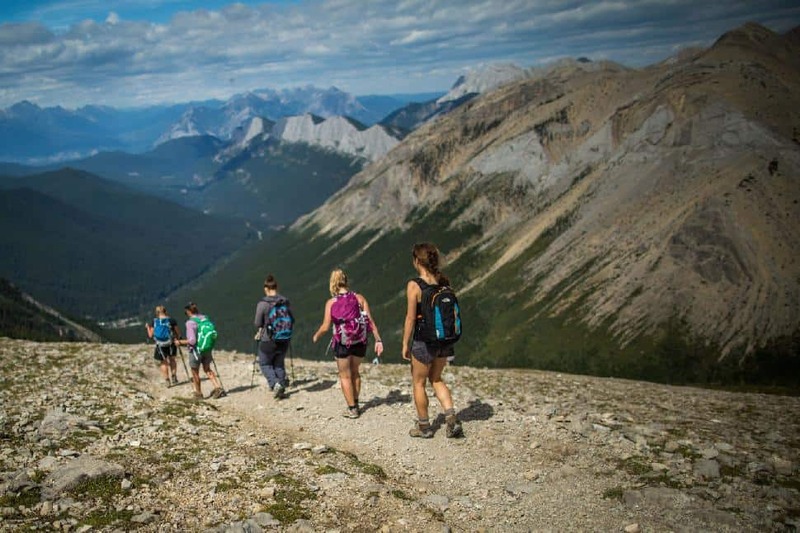 Details: This is an easy and popular hike for visitors to Banff. The trail is well-maintained and easy to access. 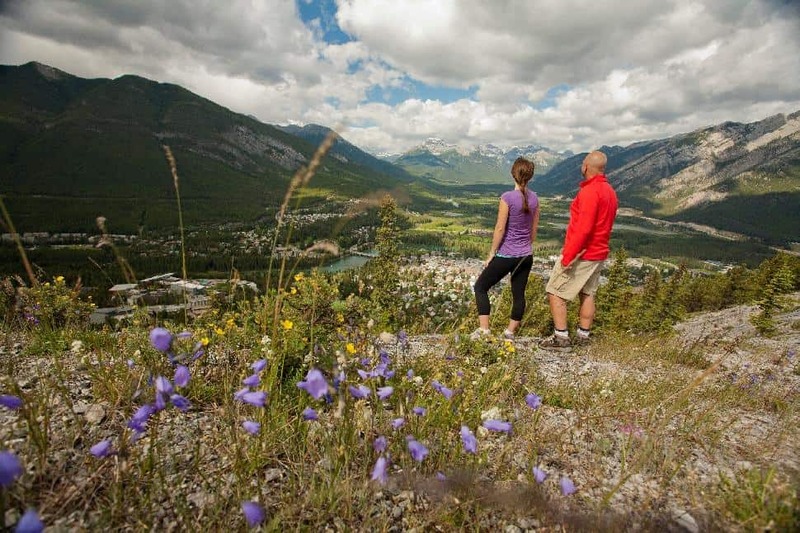 You’ll get a panoramic view of the city, the Bow Valley and Mount Rundle. How do I get to Tunnel Mountain trailhead? In downtown Banff, from the southern end of Banff Avenue, turn east onto Buffalo Street to St. Julien Road. The trailhead begins on the north side of St. Julien Road. A shorter option of the same hike begins from Tunnel Mountain Drive, just north of The Banff Centre. 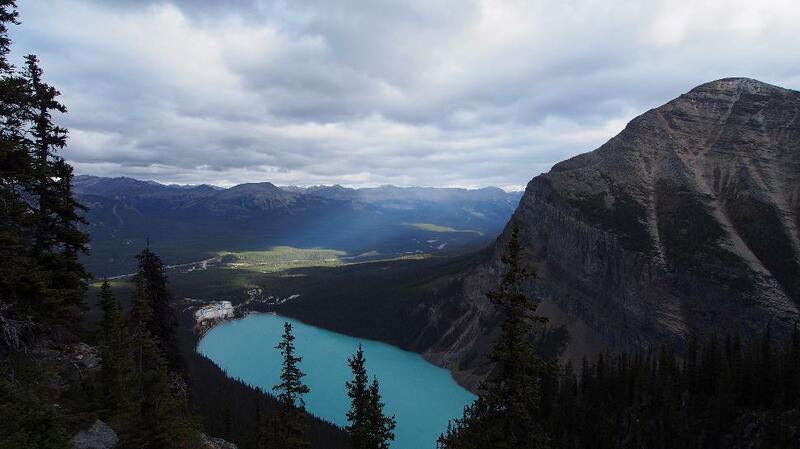 Details: This is known as one of the classic hikes in Banff National Park. 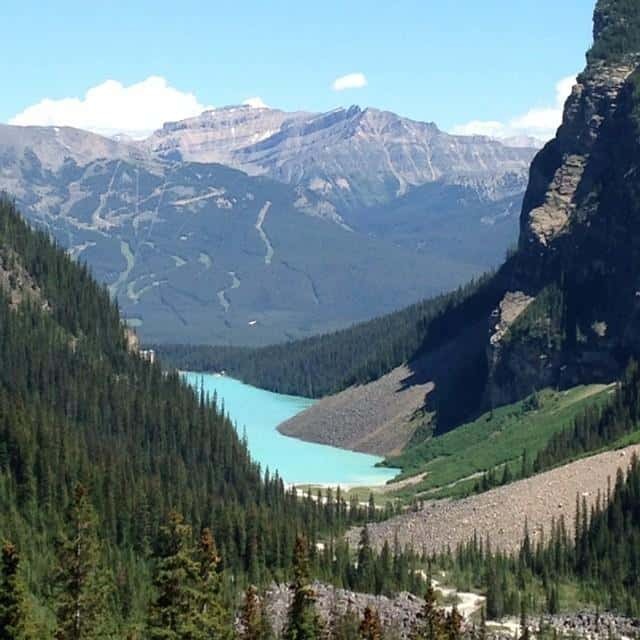 You’ll likely encounter large crowds at the beginning of your journey, since the trail starts near Chateau Lake Louise, but the view during your hike will be worth it. About 5.5 kilometres in, you’ll come to the Plain of Six Glaciers Teahouse, and it’ll be another 1.6 kilometres to the viewpoint, for a closer look at the glaciers. How do I get to Plain of Six Glaciers trailhead? The hike begins at Chateau Lake Louise. Follow the lakeshore trail to the far end of Lake Louise and look for the trail marker. 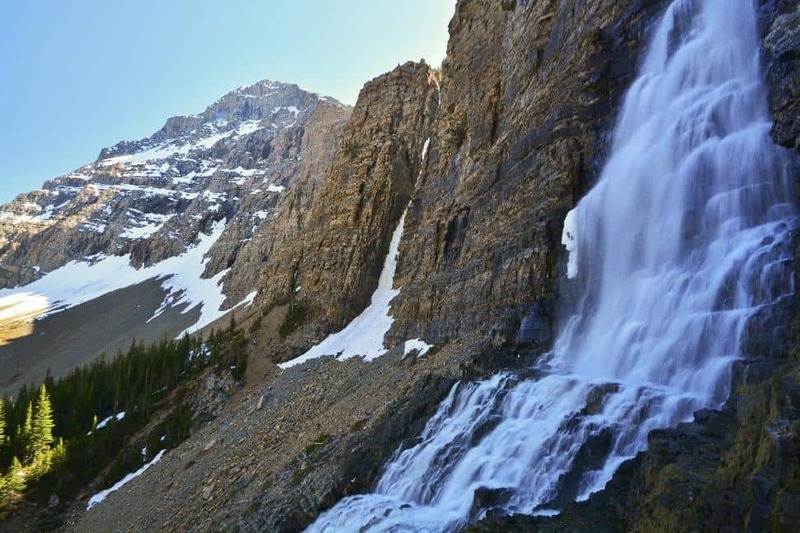 Details: Larch Valley is one of Banff National Park’s feature hikes, so it’ll likely be busy. You’ll be rewarded with a beautiful meadow at the top of the pass, and views of the surrounding mountain peaks. It’ll dip back down into the larches before clearing the treeline again, at the base of Sentinel Pass. How do I get to Larch Valley trailhead? The access point is within the Moraine Lake parking lot. Follow the lakeshore, to the right, to the trail marker sign. Details: The trail to the Devil’s Thumb is a side trip from the Lake Agnes/Big Beehive Trail. Where you find the switchback turns to the Big Beehive, go the other way to get to Devil’s Thumb. The Devil’s Thumb portion of the trail is about two kilometres return. There’s a small section to climb up, about five metres high, and the going on this trail is tough. How do I get to Devil's Thumb trailhead? From Chateau Lake Louise, follow the shoreline path for about 500 metres to the trailhead for Lake Agnes/Big Beehive. Details: The elevation gain along this trail is 700 metres, most of which is along the second half. The trail to Crypt Lake offers something for everyone – several waterfalls, a beautiful lake, cutthroat fishing, a 25-metre cave to explore and plenty of stunning scenery. Make sure you’re back in time to catch the boat. How do I get to Crypt Lake trailhead? Take the cruise boat across Waterton Lake. When you get off the boat, you’re there. Details: This part of the park is known as prime grizzly bear country, so be sure someone knows where you’re going and when you’ll be back, and be sure to make a lot of noise along the way. The trail to Vimy Peak is not well maintained, because it’s not a trail hikers often use. Be prepared for some rough hiking, amazing views and plenty of wildflowers. 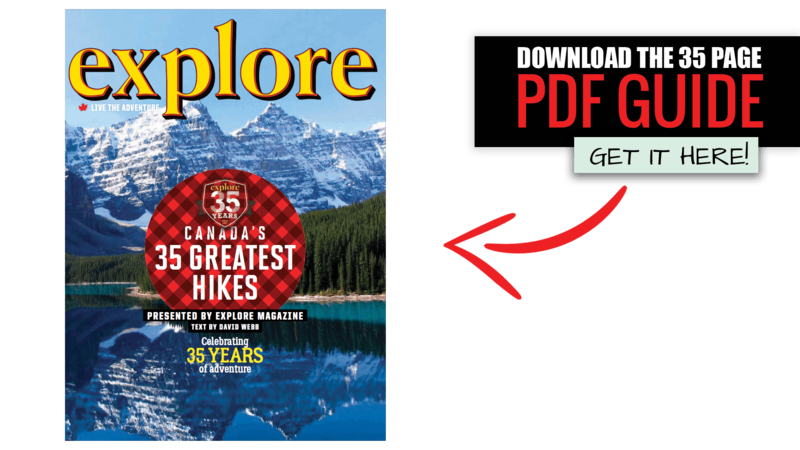 How do I get to Vimy Peak trailhead? Take the cruise boat across the lake to Crypt Landing and take the trail east toward the Vimy Peak junction. Details: The three Lineham Lakes are situated within a walled basin, with a 300-foot headwall, and surrounded by three mountains. The fishing here is considered legendary, mostly because very few people have actually fished these lakes. The Lineham Falls trail is one way to access these lakes, but the official trail stops about 500 metres short of the falls. There are several hiking trails down, but these are considered a hazardous activity and you need a permit from Parks Canada to attempt it. 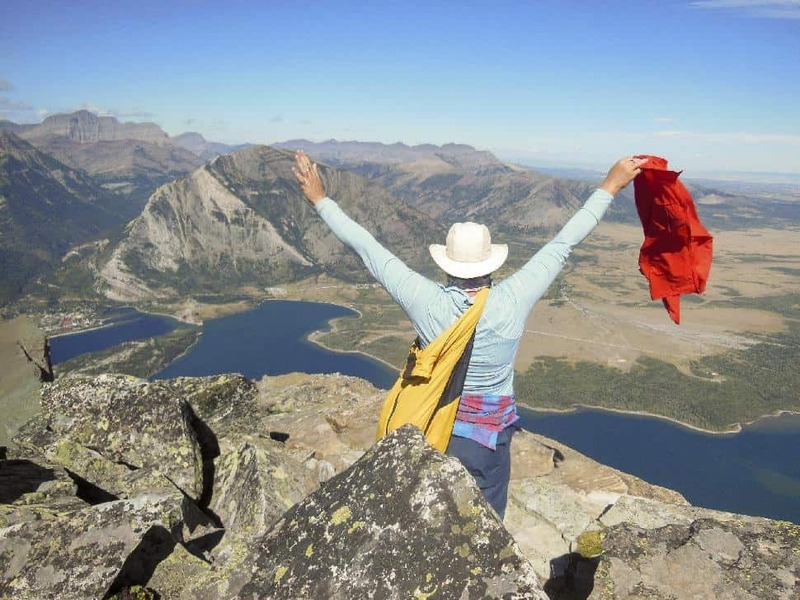 How do I get there: The trailhead is located about 9.3 kilometres from the town of Waterton, on the Akamina Parkway (Cameron Lake Road). Details: This is an easy, virtually flat trail that will take you to Blakiston Falls and the viewing platforms. How do I get to Blakiston Valley trailhead? From the parking lot at Red Rock Canyon, walk downstream about 100 metres and cross the bridge. Cross the next immediate bridge and then turn right. The falls are about one kilometre down this trail. Details: Completing this trail end-to-end means using two vehicles or taking the shuttle service from town. The trail starts at Cameron Lake. You immediately enter into the trees. 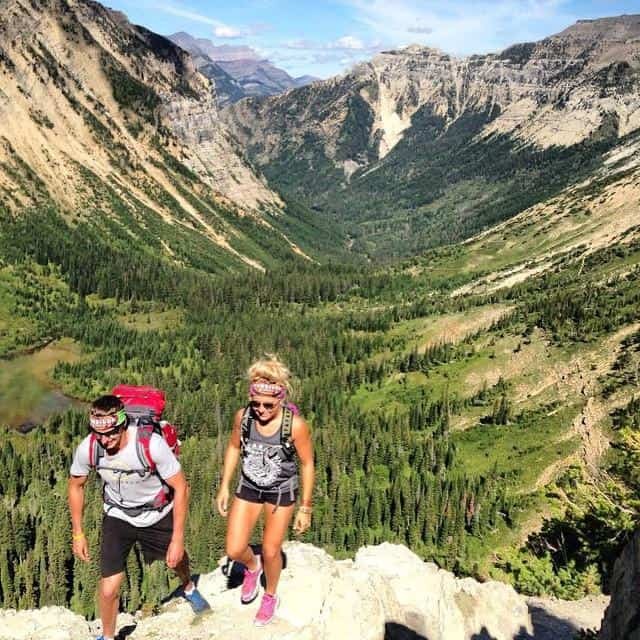 Switchbacks, steep slopes and stunning views of the surrounding peaks and valleys are some of what you can expect on this hike. There is a campground at Alderson Lake, the only one you’ll find on the trail. How do I get to Carthew-Alderson trailhead? 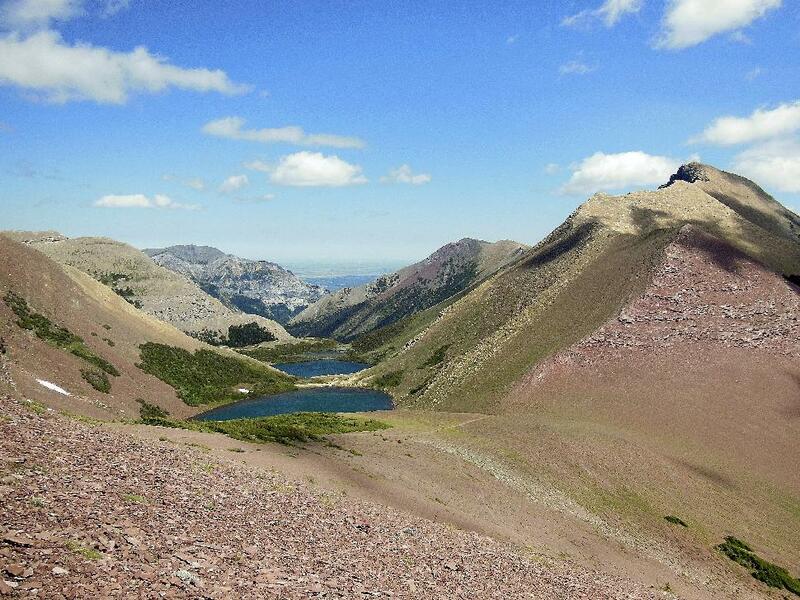 The trail begins at Cameron Lake, at the end of Akamina Parkway in Waterton. A shuttle bus runs to the trailhead at 8 a.m., for those that wish to do the trail from Cameron Lake to Waterton. Details: Hiking Grotto Canyon, you’ll be able to experience hiking along a creek bed, viewing Aboriginal pictographs, watching a waterfall and then hiking further up a walled corridor that will open into a valley. There are also some hoodoos along the way. 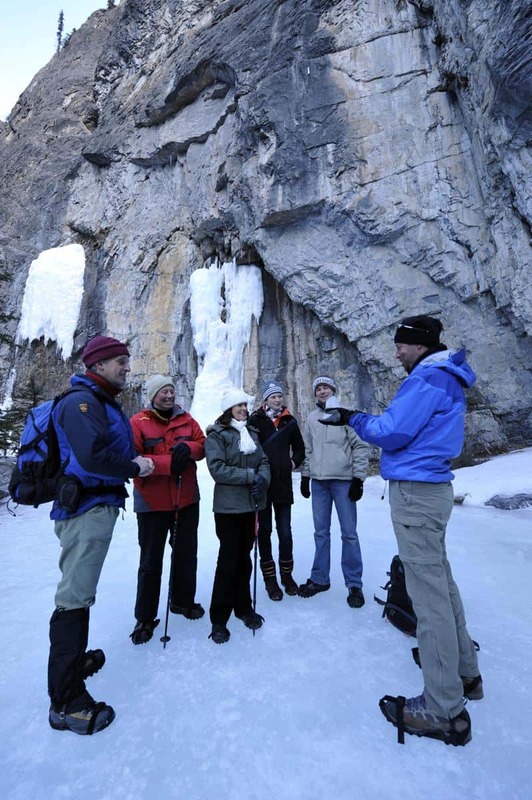 This hike can also be done as an ice hike up the canyon, and ice climbing if you’re properly equipped and trained. How do I get to Grotto Canyon trailhead? From Calgary, you can take Highway 1A through Cochrane and Exshaw, or you can go west on the TransCanada to the Seebe exit, go north and then turn left on 1A, driving for about 10.9 kilometres. The Grotto Mountain day use area is on the north side of the highway and well marked. The trailhead is in the parking lot. Details: This trail is fairly flat and will take you on a loop around Flying Shot Lake, on the south side of the park. This hike offers something of an Albertan safari. Instead of elephants though, you'll spy North America's largest land mammal: the wood bison. Bring your camera because you’ll have plenty of opportunities to see other critters large and small, from moose, elk, and deer to waterfowl and birds. How do I get to Wood Bison Trail trailhead? From Edmonton, take the Yellowhead east. It’s about 45 minutes to Elk Island National Park. Exit on the south side, and then head slightly west to the parking lot and trailhead. Details: The Trans-Canada Trail system spans about 32 kilometres from the Saskatchewan/Alberta border to the west end of Elkwater Lake. It is comprised of the Battle Creek Road, as well as the following trails: Spruce Coulee, Sunset, Soggy Bottom, Shoreline and a section officially called the Trans-Canada Trail. There are a number of other linking trails in the park. There is a trail in the West Block of the park, and a trail in the Centre Block area. How do I get to the trailhead? Cypress Hills Visitor Centre is located at 29 Lakeview Dr., Elkwater. Stop here to get more information about the trail you wish to hike, and its access point. Details: This trail is a Loop Interpretive Trail. As such, you’ll find plenty of trail signage that will give you information about the area, the environment and why dinosaur bones are found in the area. You’ll see hoodoos, pinnacles, sandstone ridges and so much more. How do I get to the Badlands Trail trailhead? 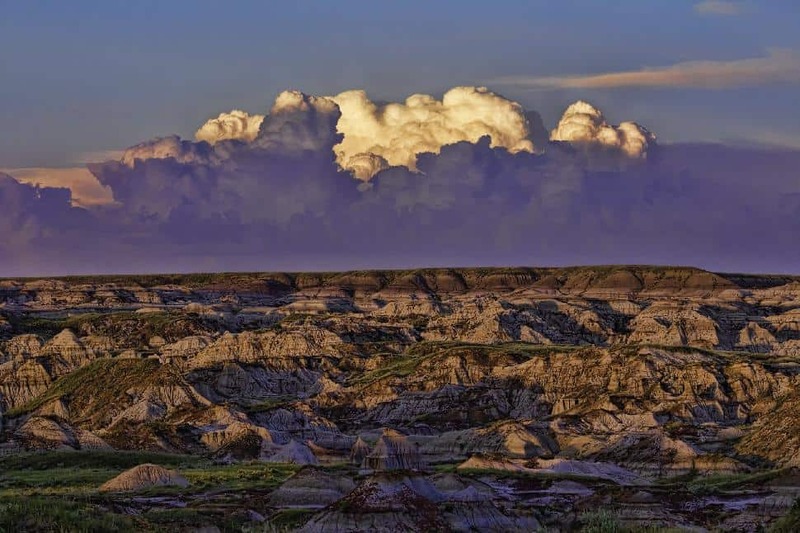 Dinosaur Provincial Park is located about 48 kilometres northeast of Brooks. Details: This section of the park contains a lot of hills, as well as a lot of wildlife. 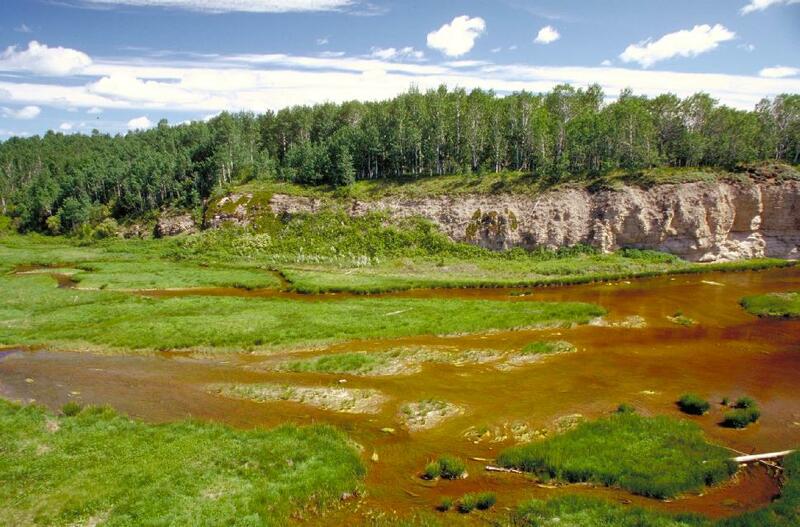 There are several trails within the Cooking Lake-Blackfoot Provincial Recreation Area, and the Siksika Trail connects some of these. How do I get to the Siksika Trail trailhead? 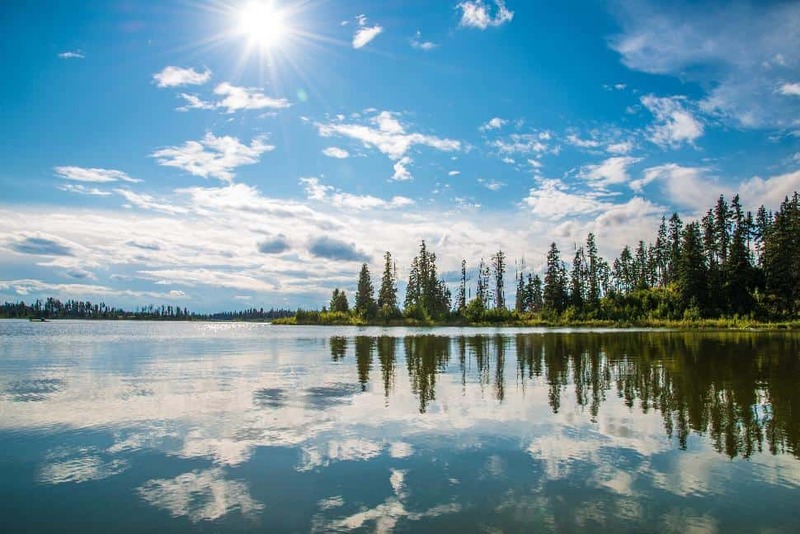 Cooking Lake-Blackfoot Provincial Recreation Area is about 30 kilometres east of Highway 21, just off Wye Road. Details: Waskahegan Trail is one we've described before as 'hidden in plain sight'. The entire length wraps in roughly a circular route, passing through eastern and southern Alberta. The trail varies from an urban environment near Edmonton to wilderness landscape in Elk Island National Park. Hikers are just as likely to encounter domesticated animals and livestock as they are wildlife. Waskahegan Trail is maintained by a volunteer association which offers free guided hikes for anyone capable of walking the distance in their time frame. Check the website for current trail conditions. How do I get to Waskahegan Trail trailhead? The trail starts near the Blackfoot Lake Staging Area in Sherwood Park, just off Highway 16. Details: The Salt River Trail System in Wood Buffalo National Park offers up seven hiking trails through a landscape peppered with cool natural features. The area's gentle grade means the difficulty of trails factors largely on the chosen route's length. Hike along the meandering Benchmark Creek, inspect Grosbeak Lake's salt flats or poke around the limestone topography of the Karst Loop. How do I get to the Salt River Trail System trailhead? Park at the Salt River Day-use Area. Details: You’ll make a steady climb up a fire road, and be rewarded with stunning panoramic views. The elevation gained is about 460 metres. How do I get to the Baldy Fire Lookout trailhead? Set your heading to Shunda Mountain, northwest of Highway 11 outside Nordegg. Follow Baldy Tower Road until you reach the gate. Park here. See this map for details. 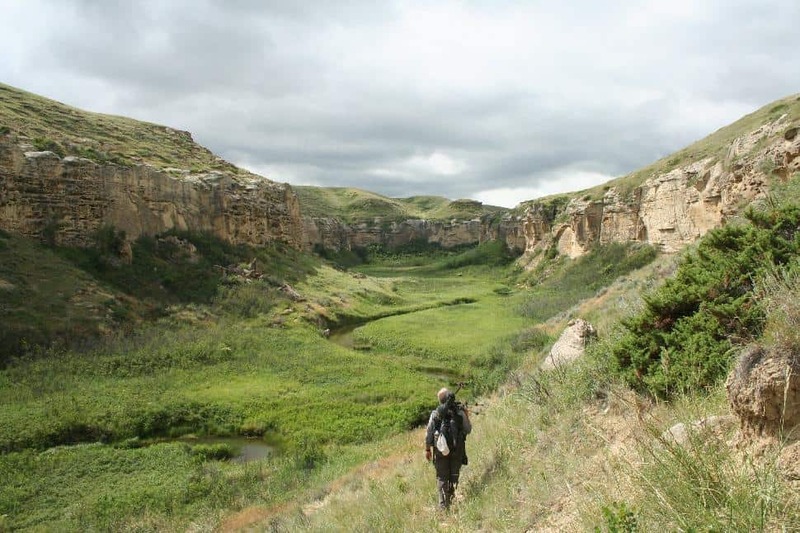 Details: While hiking the Hoodoo Trail in Writing on Stone Provincial Park, you’ll come by a variety of landscapes – hoodoos, sandstone cliffs and rock art, prairie grassland, the Milk River valley and coulees. There are stairs and steep sections, and the trail can get hot. You’ll hike up to Police Lookout and back again. How do I get to the Hoodoo Trail trailhead? Start at the Writing on Stone Provincial Park Visitor Centre. 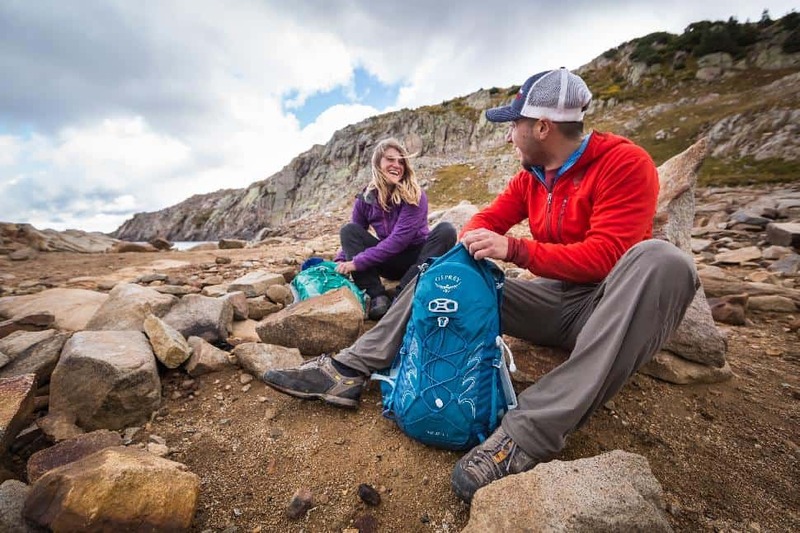 This Alberta hiking article was brought to you by Osprey. Our mission is to create innovative high performance gear that reflects our love of adventure and our devotion to the outdoors. 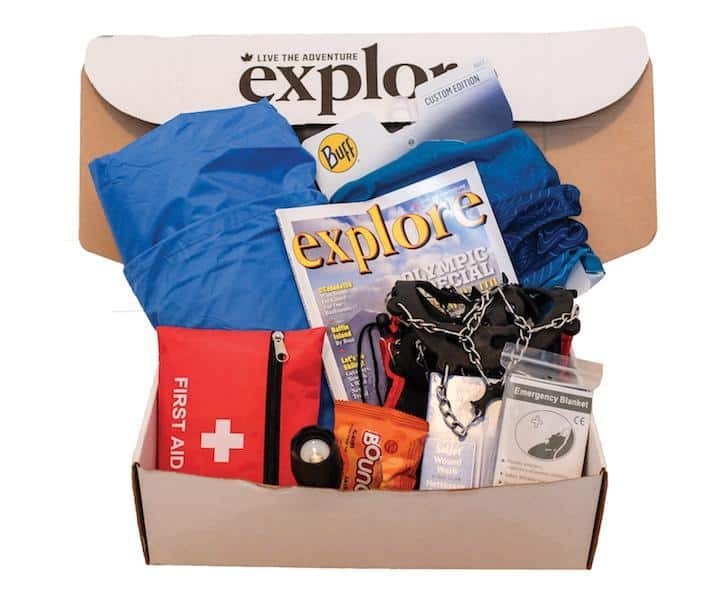 We succeed when we meet the demanding expectation of our most discerning customers and they are proud to use our packs.